It's natural that many of you want to copy Netflix DVD for for repeatedly watching or rip Nexflix DVD to videos like MP4, MOV, FLV, MKV, WMV, AVI, etc. so that you can play the movies on iPad Air, iPhone 5S, Samsung Galaxy Tab, Galaxy S5, etc. or share online easily. If you have no idea about his, you are definitely right being here! The article will show you the easiest and fastest way to rip and copy Netflix DVD movies so that you can watch the movies anytime you like. 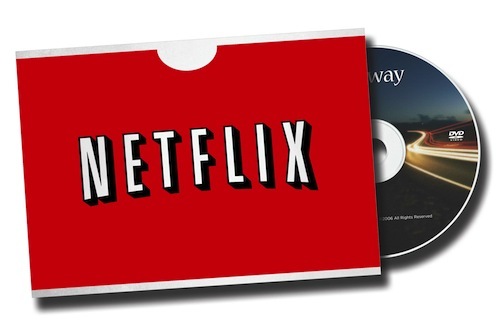 To rip the commercial protected Netflix DVDs successfully, a decent DVD copying tool is an essential. With the righ software, you can get the work done effortlessly. There are many tools are capable of doing that. The best program I can recommend for handling Netflix DVD discs is EaseFab encrypted DVD Ripper. 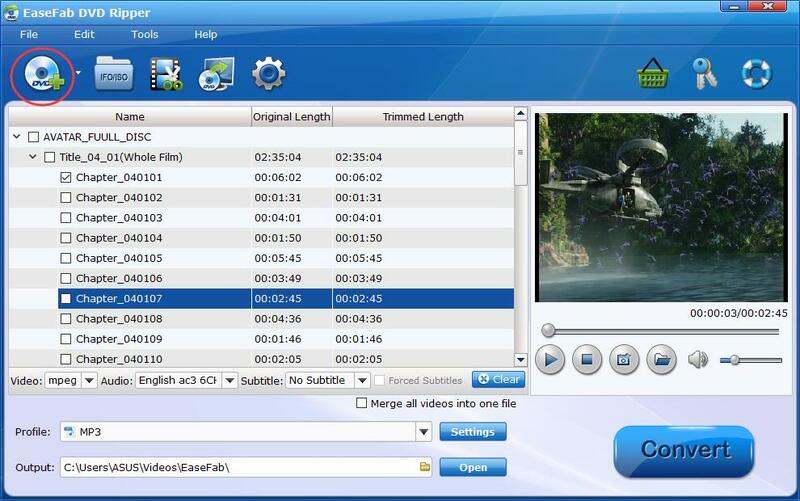 This professional tool enables you to bypass DVD copy protection, copy the main movie from Netflix DVD to your hard drive, or back up your DVD to with original structure in 1:1 quality. Besides, it can help rip Netflix DVDs to videos in any popular format for playing on iPad, iPhone, Samsung Galaxy Tab, Galaxy S, Nexus 7, etc. Now just download the program and follow the steps below. Insert the DVD disc into your computer's hard disk and launch EaseFab DVD Ripper. Then click Load DVD to add the DVD files. As you can see, you can select the titles you want to rip and merge them into one big file. At the bottom, you can select your desired subtitle and audio track. Option A – Click "Profile" and select the format you prefer. 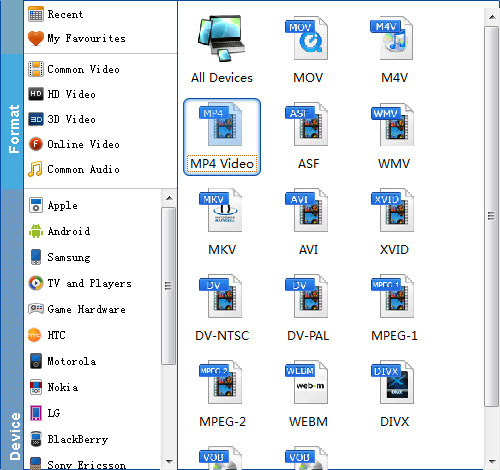 As you can see, you can either convert individual chapters to AVI, WMV, MP4, MOV, MKV, FLV, etc. or select a device icon to get videos with optimized settings for iPhone, iPad, iPod, HTC, Samsung, Zune, Motorola, Nokia, etc. 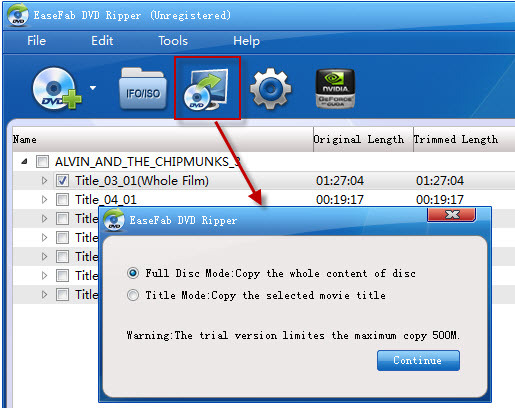 Option B - EaseFab DVD Ripper also offers enough freedom for all DVD movie lovers like you to back up your favorite DVD movies in a personalized way. Two different copy modes: Title Mode and Full Disc Mode are provided to let you copy the exact movie part you want. Just the selected your wanted one. The last step is to click the "Convert" button on the main interface to start converting Netflix DVDs to a video, audio or copying Netflix DVD movies you want. After ripping, return the movie and you now have added another movie to your DVD collection. Play it anywhere anytime you want.